 Limited Lifetime Warranty: If your InvisibleShield Original ever gets worn or damaged, ZAGG will replace it for as long as you own your device. Military Grade: Powerful, strong components were originally designed to protect military helicopter blades. Self-Healing: Nano-Memory Technology: Scientifically formulated with smart molecules to heal from scratches and dings over and over. Easy Application: Smart EZ Apply tabs make applying your Original simple, accurate, and bubble free. The InvisibleShield Original is the #1 selling industry standard for screen protection. Like all InvisibleShield protectors, it comes with a limited lifetime warranty, is engineered from advanced Military Grade technology, and features Nano-Memory Technology that allows it to self–heal minor scratches and abrasions. InvisibleShield Original also features the unique EZ Apply® tabs to give you the easiest, most precise, and bubble free application possible. If your InvisibleShield Original ever gets worn or damaged, ZAGG will replace it for as long as you own your device. InvisibleShield Original for the Apple iPhone 6/6s (Case-Friendly) is rated 3.9 out of 5 by 115. Rated 5 out of 5 by Jimmy S from Proven!! This shield has saved my screen on multiple occasions!! Why not protect your phone....would you really want to deal with a broken screen instead? Rated 5 out of 5 by Runnergirl72 from A must have!! This is a great product. It has saved my iPhone glass screen MANY times! I highly recommend this product. Rated 5 out of 5 by Alaylay14 from Love the glass Have had my case for quite a while now and I LOVE IT!!! It has worked great. The Glass screen is amazing. Rated 5 out of 5 by Aperez from Great quality, features and product. I have purchased Zagg in the past and have always been satisfied. This glass has a feel that others do not seem to have. Rated 5 out of 5 by Harvicks from The best Thank god for zagg I just had amputated finger really hard to hang on to my phone sometimes crack my screen a lot they have a replacement here with in 2-3 days have not cracked my original screen do to zagg look no further the best. Rated 5 out of 5 by Shanny from Everything I needed Everything that I needed! simps to instal and covers my phone perfectly. Rated 5 out of 5 by Griffster from Great protector We had warranty issues, Zagg customer service is so great to work with! I've put other shields on devices, the instructions this time were different and not so easy to understand, put it on wrong, only bad part to the new shield. Rated 5 out of 5 by KaylieKay from Awesome Screen Protector! Great product and they stand by their warranty! Easy to replace if you have any issues with it! Rated 5 out of 5 by Jamyers63 from Great product! My iPhone fell out of my pocket onto a gravel road, then a 15,000 lb bucket truck drove over it. The screen protector cracked, but my iPhone wasn't damaged at all. Zag replaced the protector no problem! Rated 5 out of 5 by Captain Diane from Easy to apply My local AT&T store recommended Zagg and the kit arrived with full instructions, a cleaning cloth and adhesive spray! Very complete & my new screen protector is fabulous! Rated 5 out of 5 by SueHa11 from Strong and durable! I bought my first Invisible Shield in September 2015. It has worn very well with no marks on it at all. It only began to curl at the edges just over a month ago (November 2016). Normal shields have never lasted this long! I then sent the worn shield back to Zagg, and they replaced it with a new one, free of charge. This came under the Lifetime Warranty Scheme. I think this is an excellent shield and Zagg have a great after sales team, who are very helpful indeed. I would highly recommend buying a Lifetime Invisible Shield. It may seem expensive (£14.99), but the money is recouped eventually as you will never have to pay for another screen protector again! Rated 5 out of 5 by Yes sir from Excellent! Perfect fit. Sturdy, Reasonably priced and easy to apply. Rated 5 out of 5 by snso from works as promised I had a scratch on my original invisibleshield and the free lifetime replacement worked like a charm - super easy too! Rated 5 out of 5 by HockeyMom2 from Easy to install, sturdy screen protector Bought this for teenager -- screen protector really does heal itself from minor scratches. Had to get warranty replacement after 10-months which is impressive. Rated 5 out of 5 by zaggcustomer2017 from Great customer service! I respect companies that stand by their promise and that is why I adore zagg! I had an issue with my protector and all it took was one simple phone call and within a week I received a brand new protector! The customer service representative was very knowledgeable and extremely friendly! The process was quick. I have used zagg's products for a while now and I would never think about shopping outside of zagg for screen protection! Rated 5 out of 5 by Rebe from The protection seems to working well. on our two new phones. Rated 5 out of 5 by blewis179 from Great Service, Great Product Great customer service and even better product. I have been using the Invisibleshield for quite some time now and it only seems to get better in terms of installation, durability, etc. Rated 5 out of 5 by TCB3401 from Great protection So happy I have this for my glass screen protection. Already dropped and the shield took the impact. Rated 5 out of 5 by Yami from Zagg is the best I been purchasing and exchanging from time to time, all my zagg screen protectors on all my devices for the past 5 ish years now, and I can only describe Zagg in 3 words " They Are Awesome!". Rated 5 out of 5 by Gaymoss from absolutely fantastic!!! I am so happy I decided to purchase the original invisible shield with my new iphone 6s, I was a bit sceptical that I had paid too much for a screen protector, BUT just the other day when I was cleaning out my cupboards a tin fell out straight on top of my phone on the work top, I was certain it had smashed my screen and it hadn't!! The shield puckered up and was even sliced with a really clean cut from the tin and my screen was completely in tact. Best £15 I have spent and recommended it to so many people!! Rated 5 out of 5 by adt476 from Great customer service! The first Zagg screen protector I had lasted a year. Kept my screen like new. Zagg replaced my worn screen protector no questions asked. Way to stand behind your product and your customers! Rated 5 out of 5 by Haley64 from Invisashield for cover All our products are protected with Zagg products. We have never had any damage and truely beleive Zagg protects and honors its warrenties ! Rated 5 out of 5 by Shelsheboo from Excellent shield. I purchased this in store in January. I am very happy with it. It is long lasting and stands up against all kinds of punishment such a my young son picking at it and even getting it wet at times. I would not buy any other shield as previous ones have certainly not lasted like these do. Rated 5 out of 5 by Graciious from Priceless protection Every device I've owned has had an InvisibleShield on it. IMO there is no better protection out there. Some companies try to include screen protectors but the reality is this one wins every time. It's easy to install and works like a charm. Thanks Zagg! Rated 5 out of 5 by cyclepdx from Saved my screen from a 5 ft drop to concrete It slipped out of my pocket, and I saw it go down to hit the sidewalk. Looked at it and thought the screen was gone. Took it it, and the service guy said it was probably just the screen protector. I'm glad to say that he was right. Rated 5 out of 5 by Hobbyj from Great purchase! I purchased this a month ago and loving it! Great protection for my IPhone 6s! If my phone (iphone6) is already cracked, can I still apply the invisible shield original? Should I follow the wet or dry instructions, even if the box (Zaggshield) contains the shield spray? InvisbleShield's are easy to remove and do not leave residue that is hard to clean off. Do the iPhone 6 and 6+ shields come with the front and back shield or just the front? &nbsp;I ordered a bumper, so I want the shield on the front and back. Currently it comes with only a glass InvisibleShield for the front of your phone. How do I register my recently purchased invisible shield? The glass luxe doesn't cover the camera. I purchased this and it looks as though the finish is a yellow in color and not clear. &nbsp;Is that correct? What is the difference between the &quot;original&quot; and the &quot;HDX&quot; screen protector? The HDX has more shatter protection than the original. Please contact Customer Care at 800-700-9244 as they can issue a replacement under warranty. What does case friendly mean? Case friendly screen protectors do not reach the very edge of the device. This way, a case that hugs the edges of the device will fit without interrupting the screen adhesives. Standard screen protectors sit closer to edge of the device. Yes, our shields fit with most cases. can the application solution that cmes with original shield be used to clean he shield periodically? Yes, it would work fine. A microcloth might do the trick more though! I Purchased the Original - case friendly Screen protector for my IPhone 6 at Best Buy. &nbsp;After installing, I found that there was no &quot;Selfie Camera&quot; hole in the protective screen and I had to manually cut it. &nbsp;Very disappointing. What is my course action? You should email questions@zagg.com with your order number and they will be able to assist you with getting a courtesy replacement screen. invisible shield use to be 360* coverage, at least on my old iPhone it used to be. is this still the case for the iPhone 6? With the glass screen, it is NOT 360*. This screen is also case friendly which means that you are going to have about a 1cm boarder around the whole phone to allow for a bulkier case. Is this product glass or a sticker? I just purchased the Original Invisible shield and put it on my phone. It seems that there are yellow streaks running horizontal on the front of my phone now. Are these going to disappear over time? or did I press to hard at some point when applying? I have a shield protection plan, I need a replacement shield ,how do I submit to to replace it. My ZAgg screen protector sold to me by Verizon does not seal at the edges mostly on one side and does no look very pleasing to me. I took it to the Verizion dealer where I bought my new IPhone 7 and they told me that there was nothing that they could do? can I use this for my iphone 7 plus? My original invisible shield will not stay on my iPhone 6. &nbsp;How do I return it and get a replacement?